Between 24 October and 1 November I was in California. 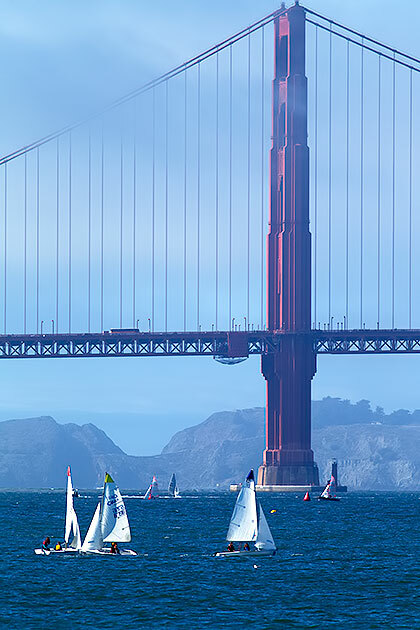 I spent two nights in San Francisco before heading to Monterey for the North American Symposium on Bat Research. I had a wonderful time in great weather, and saw some tremendous wildlife. I saw the San Francisco sealions. I went kayaking in Elkhorn Slough, getting very close to sea otters and harbour seals. A whale watching trip off Monterey was memorable, with a pod of several hundred common dolphins, about 50 Risso's dolphins, and about 6 humpback whales. There were good seabirds too. I went to the monarch reserve in Monterey, and finally to scenic Point Lobos. 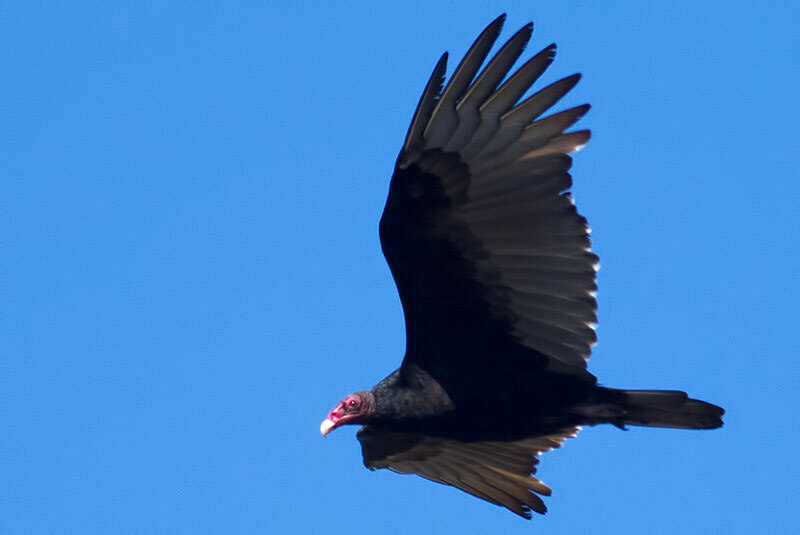 Photos taken with 1D4 and 400mm lens. 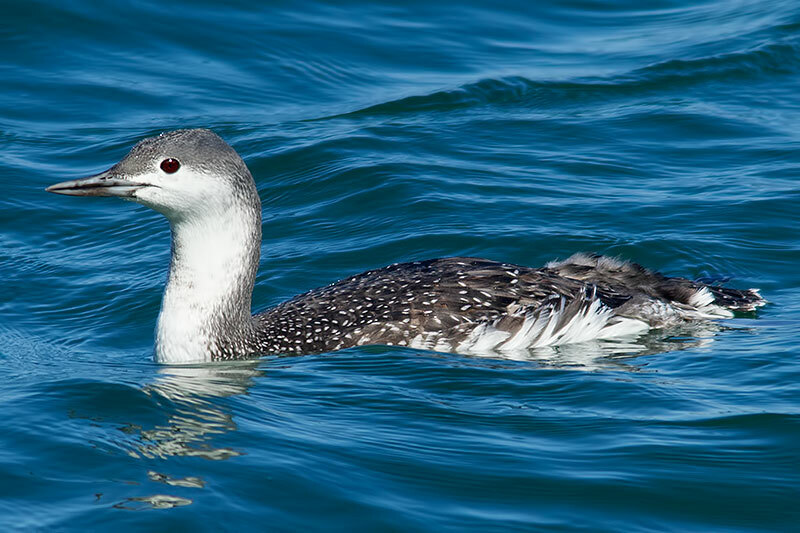 Common loon - several from pelagic and in Monterey Bay. 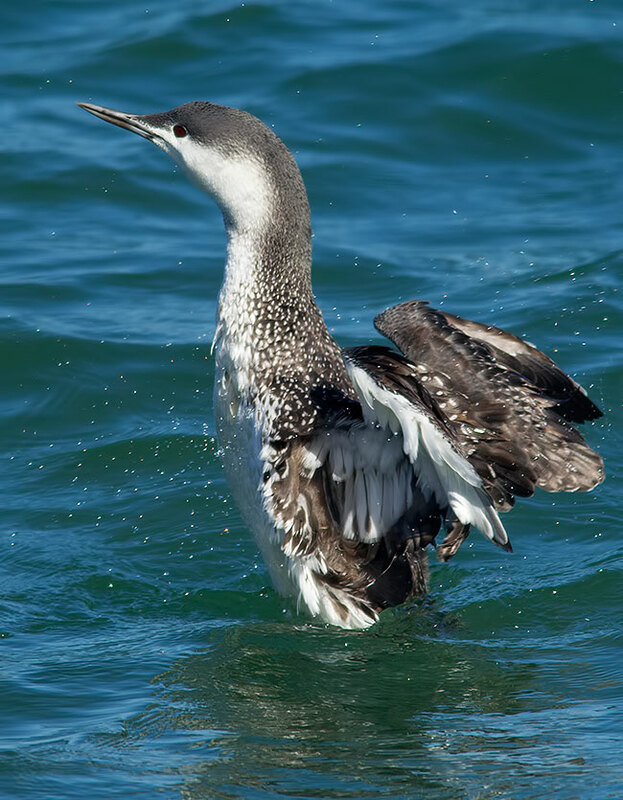 Red-throated loon. 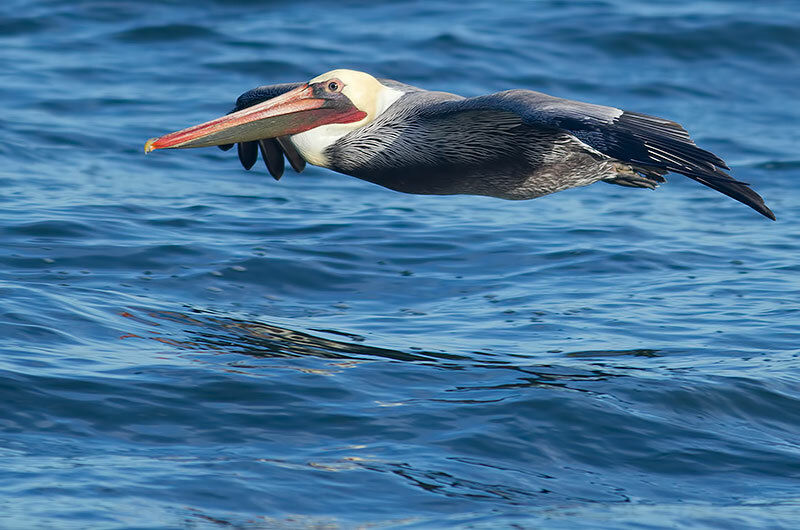 A tame bird in San Francisco Bay. 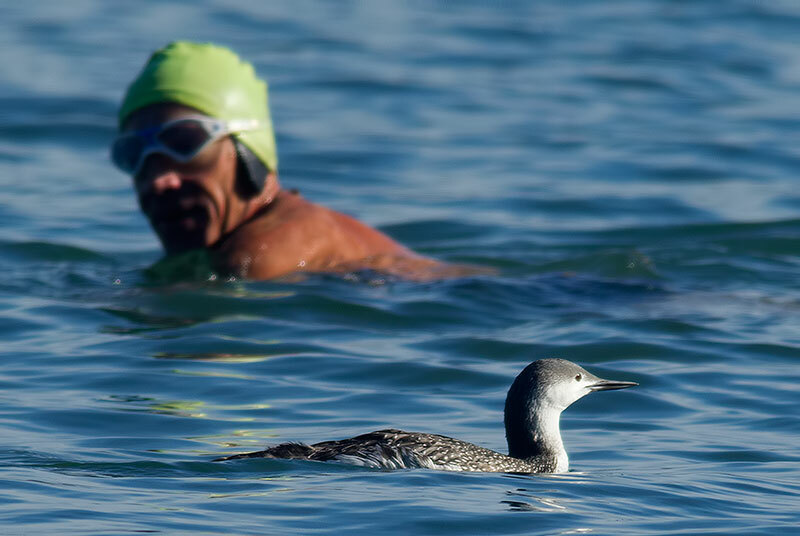 Western grebe - one, Monterey Bay. Eared grebe - Elkhorn Slough, Monterey Bay, El Estero Pool. Pied-billed grebe - El Estero Pool. 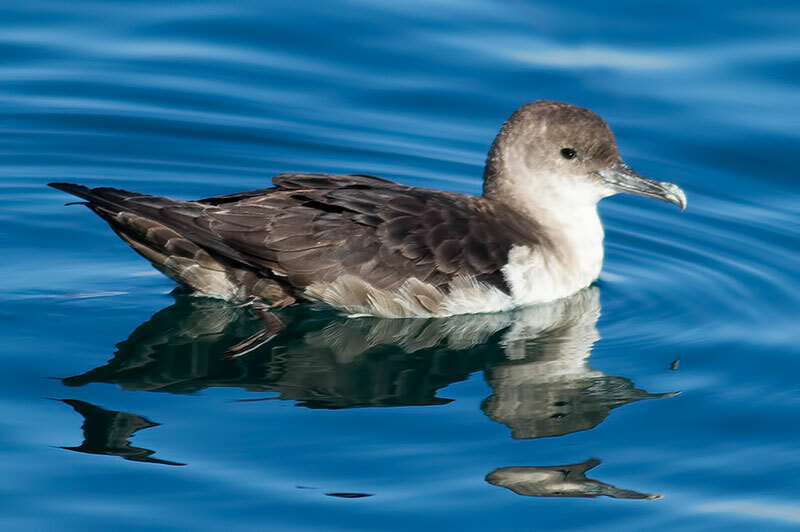 Black-footed albatross - one, pelagic. Northern fulmar - several, pelagic. 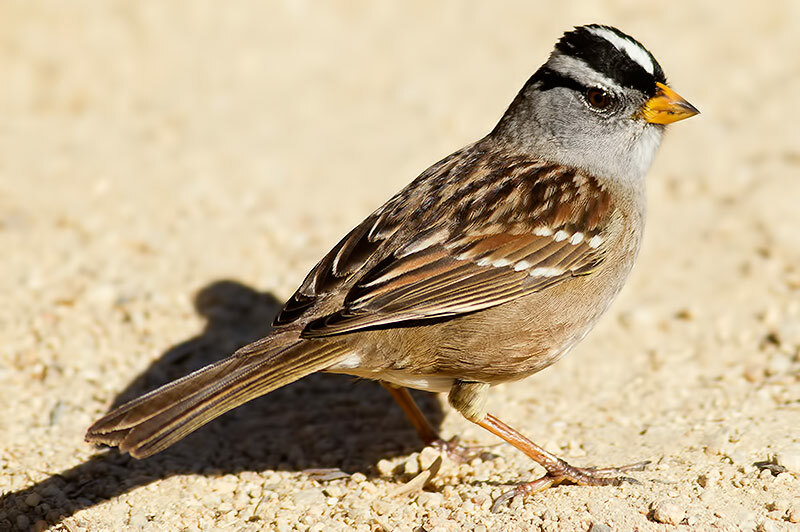 Mainly dark-phase birds. 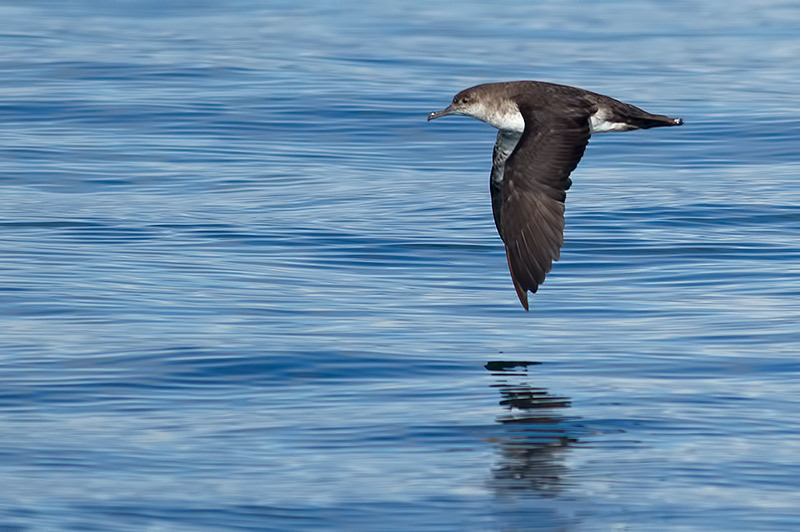 Sooty shearwater - one, pelagic. 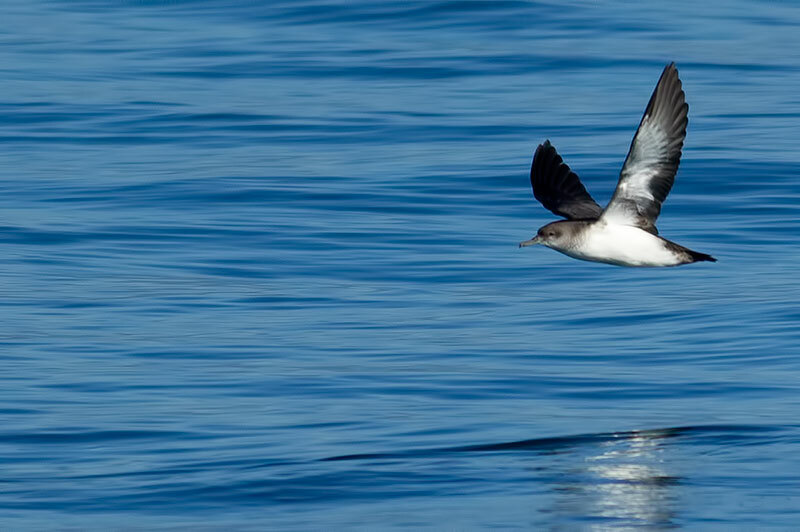 Black-vented shearwater - abundant from pelagic - more abundant than usual because of El Nino. 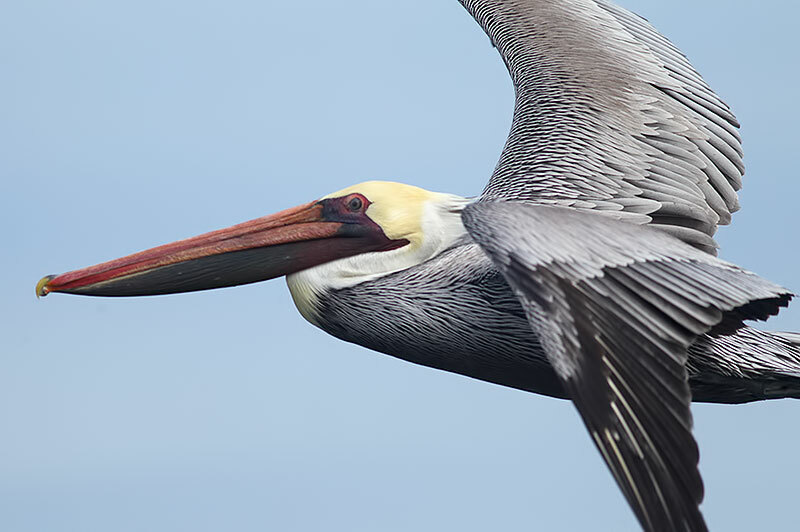 American white pelican - one, pelagic. 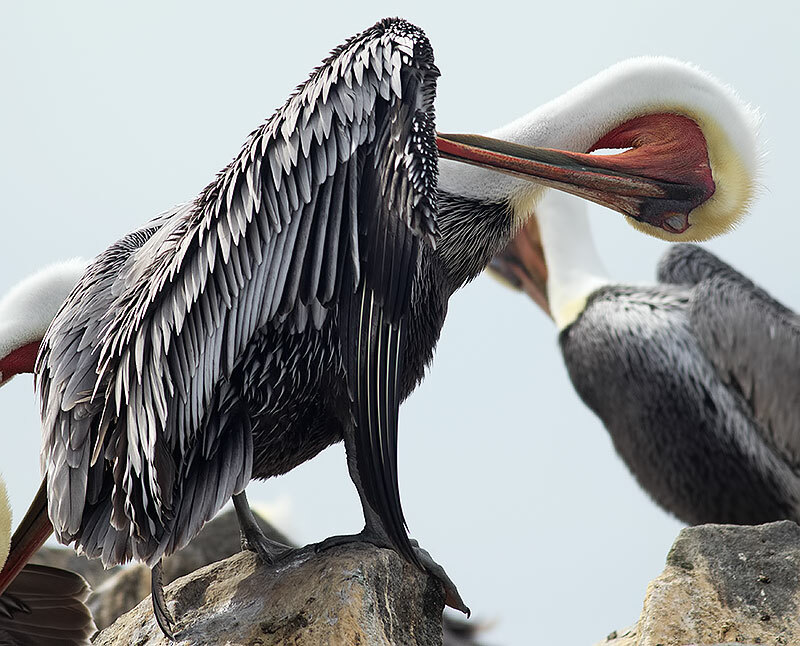 Brown pelican - abundant along coast. 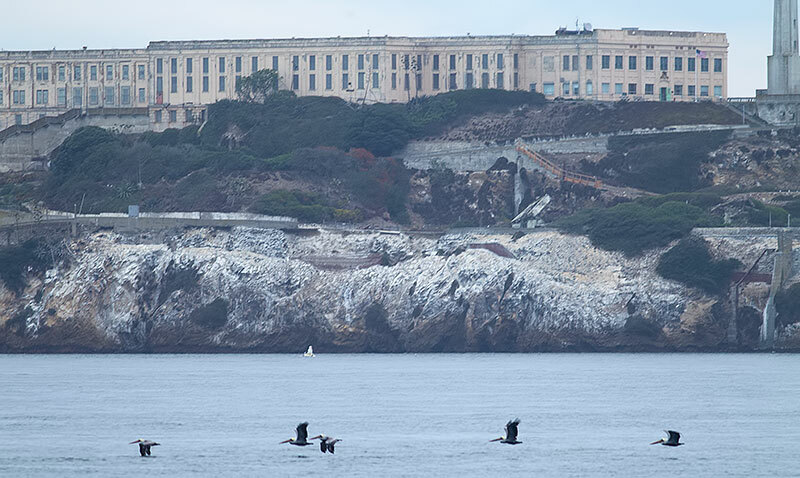 First photo is of a group flying past Alcatraz Island. Double-crested cormorant. Several along coast. 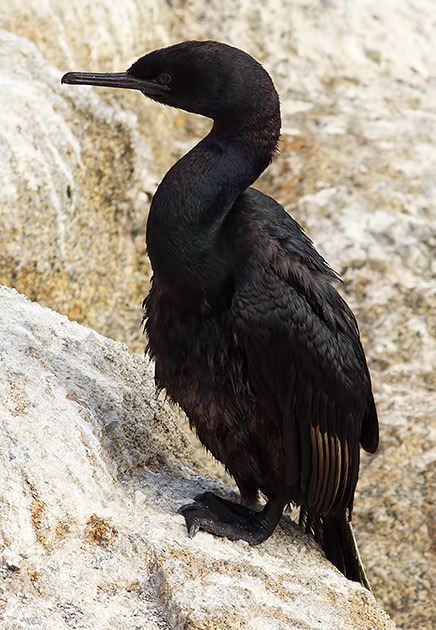 Brandt's cormorant. Abundant along coast. Juvenile below. 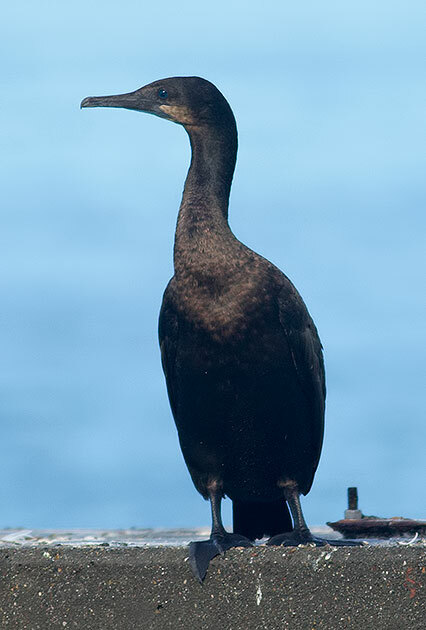 Pelagic cormorant - common along coast. Snowy egret - several along coast. Great egret - one Monterey bay. 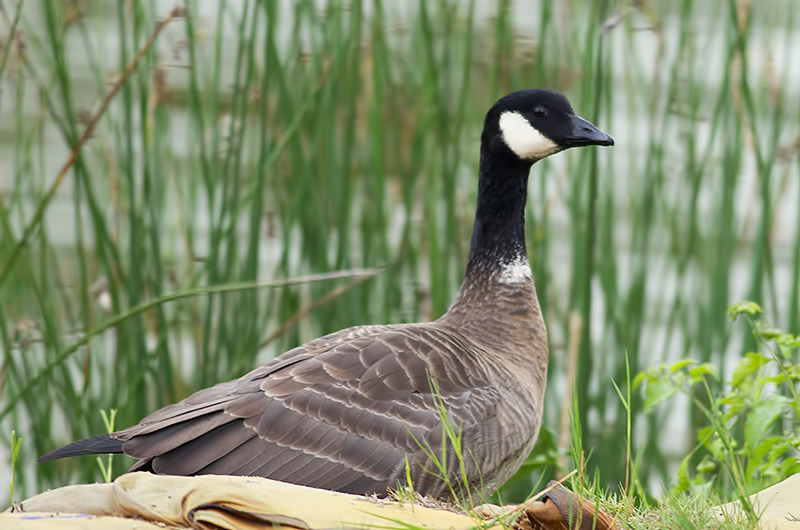 Canada geese. Flock at El Estero Pool. Aleutian Canada Goose? One bird at El Estero Pool fitted the description. Brant - one Elkhorn Slough. Ruddy duck - Elkhorn Slough and offshore. Surf scoter. Several on pelagic. Red-breasted merganser - somewhere? Pelagic? American coot - El Estero Pool. Marbled godwit - Elkhorn Slough. 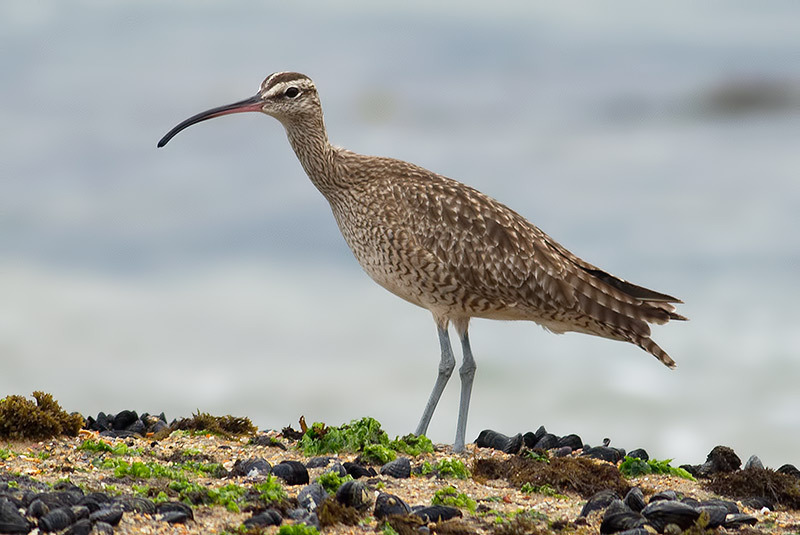 Hudsonian whimbrel. Near Cannery Row, Monterey. Long-billed curlew - 10's Elkhorn Slough. 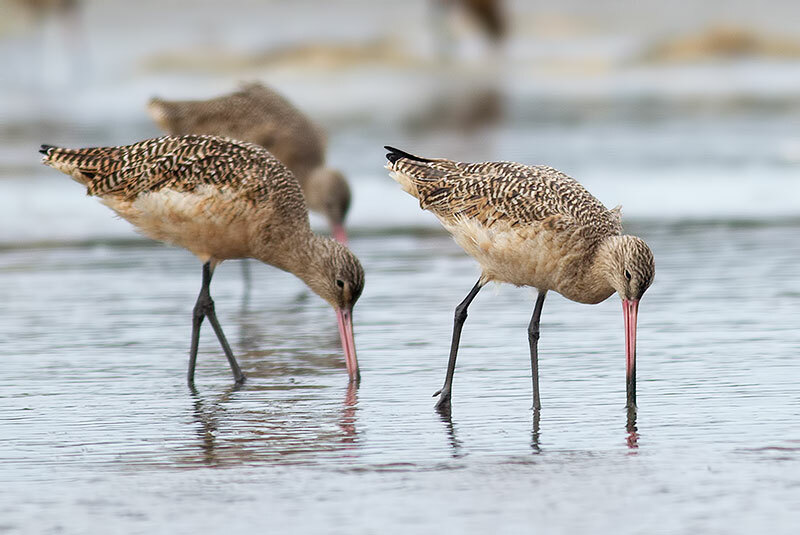 Willet - scores, Elkhorn Slough. Red-necked phalarope - one on pelagic. Black turnstone -several on rocky coastal areas. Least sandpiper - several, Elkhorn Slough. 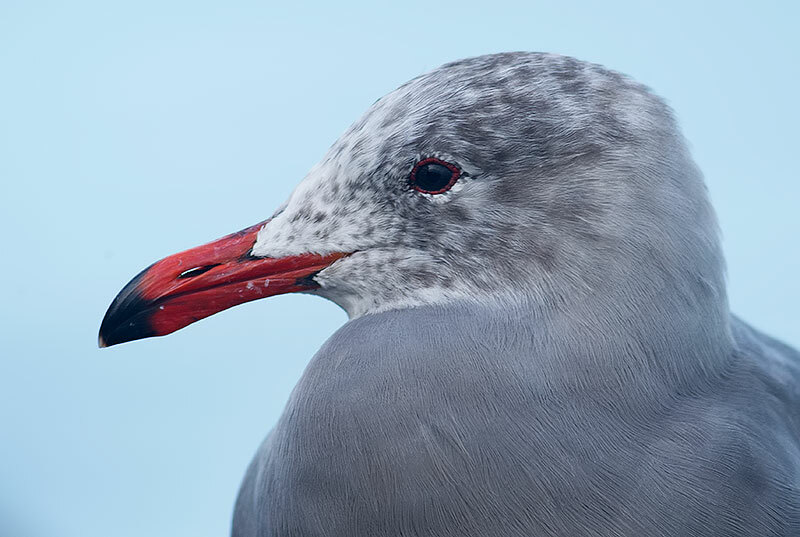 Heerman's gull - 10's San Francisco and Monterey. Bonaparte's gull - several, pelagic. 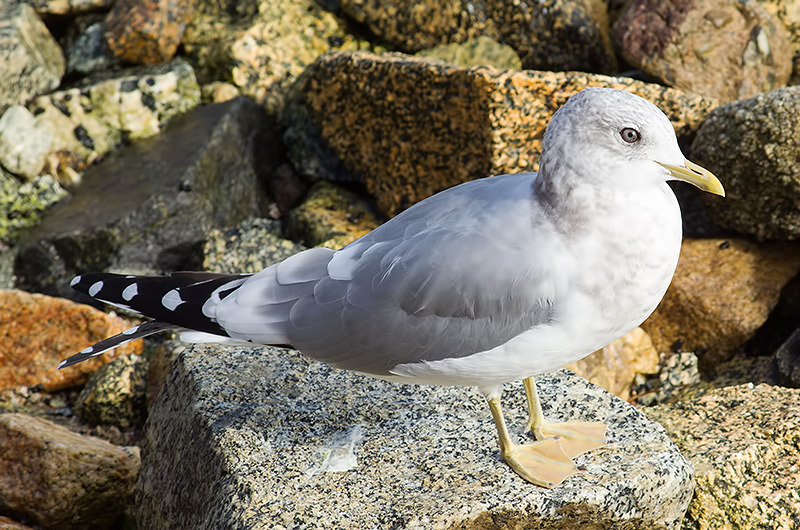 Mew gull - a few Monterey Bay. 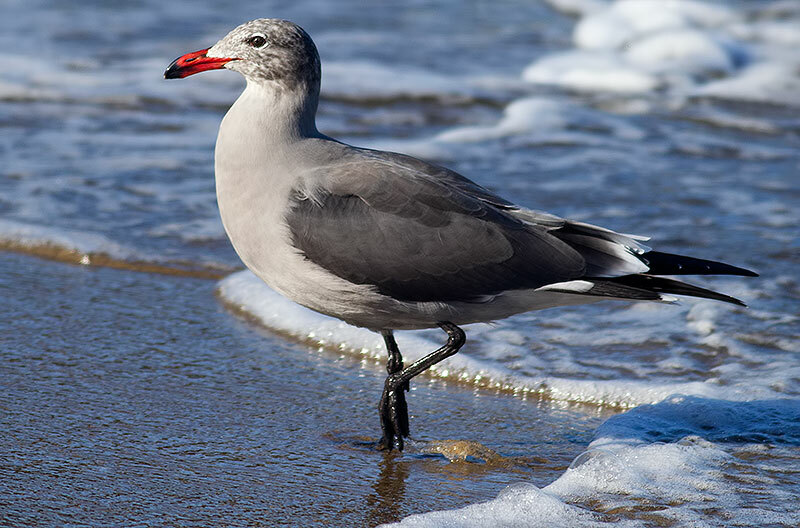 California gull. 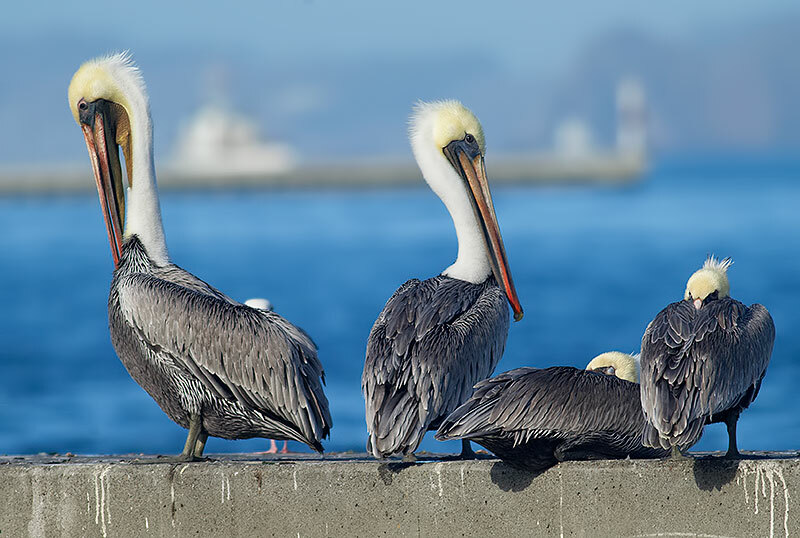 A few, Monterey Bay. 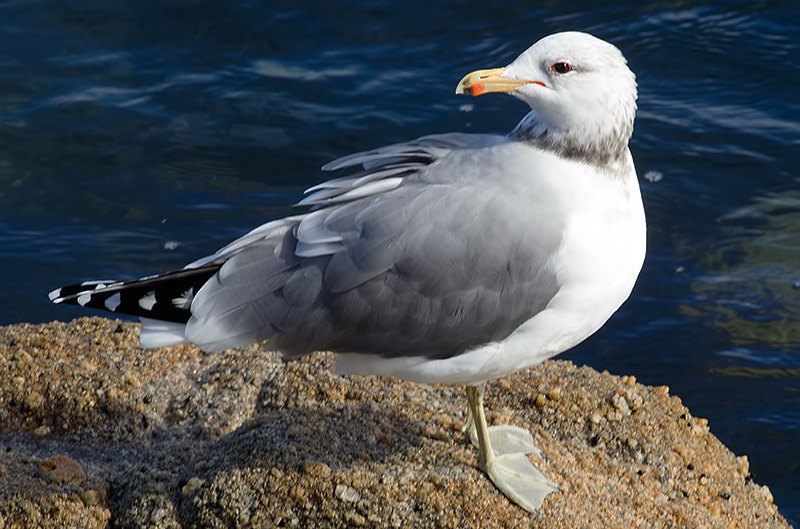 Western gull. 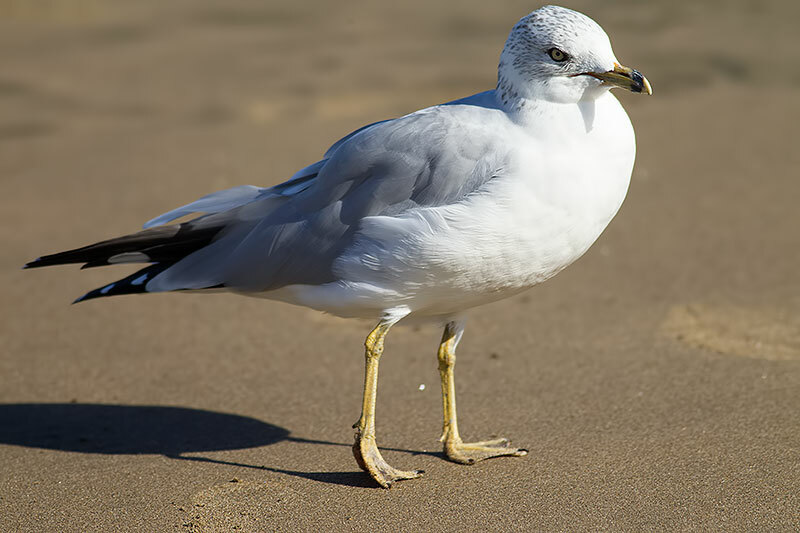 Abundant - by far the commonest gull. Forster's tern? One, probable, Monterey Bay. 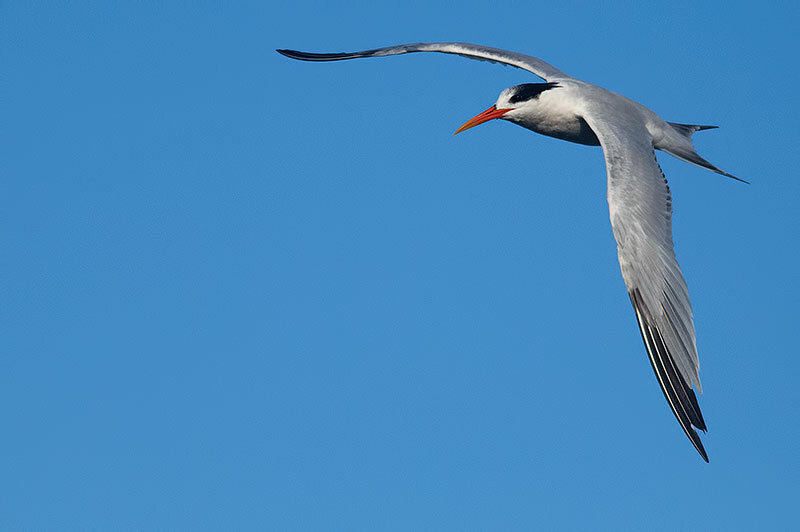 Elegant tern - common, San Francisco and Monterey Bay. 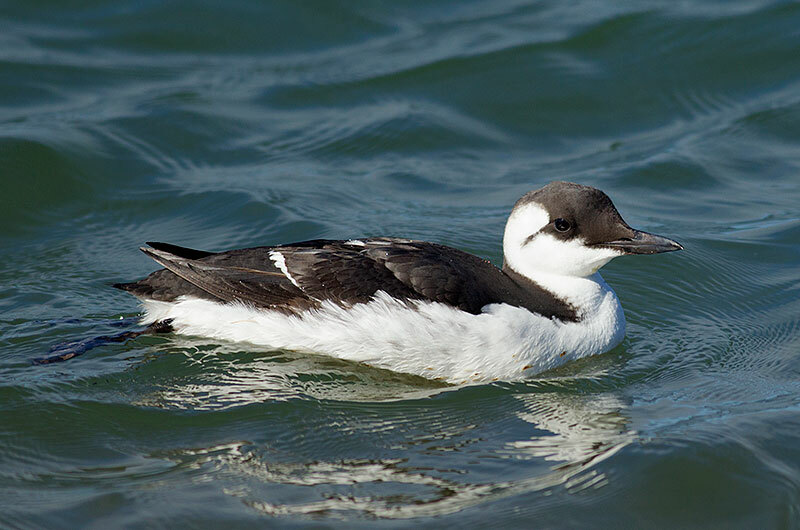 Common murre - hundreds on pelagic. This tame one in San Francisco Bay. 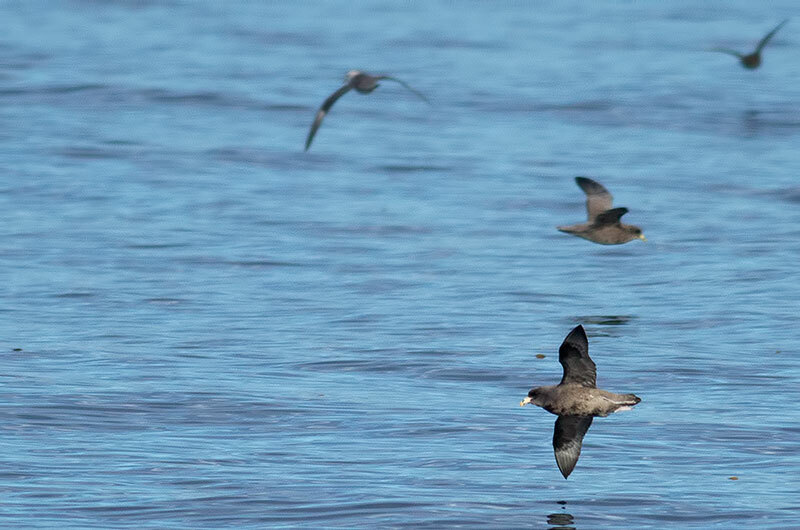 Cassin's auklet - several, pelagic. Rhinoceros auklet - several, pelagic. Sharp-shinned hawk - one near Cannery Row. Great-horned owl - one Monterey Plaza Hotel, seen from conference drinks session. 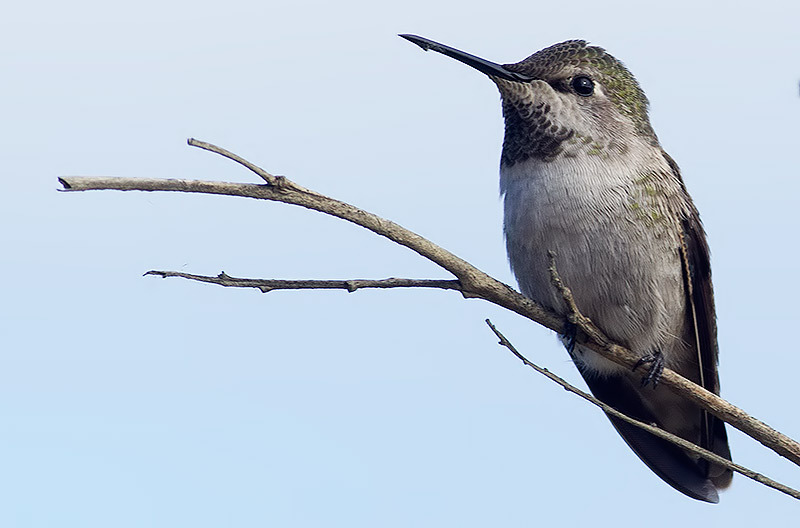 Anna's hummingbird - several Monterey and San Francisco. Belted kingfisher - one Monterey Bay. Acorn woodpecker - a group around the cemetery at El Estero Pool, Monterey. 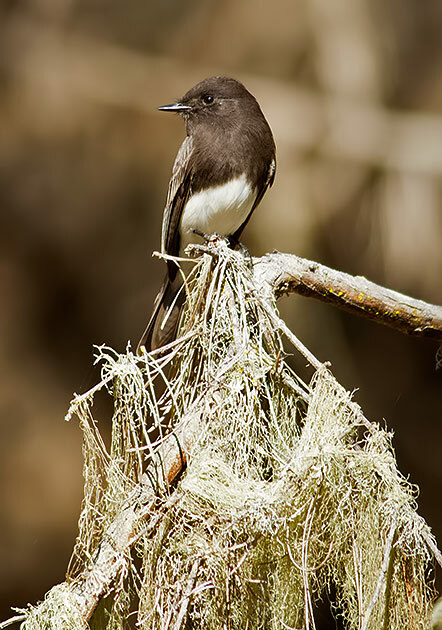 Black phoebe. Monterey and Point Lobos. Wrentit - one, Point Lobos. Chestnut-backed chickadee - one, Point Lobos. Ruby-crowned kinglet - one, Point Lobos. Yellow-rumped warbler - San Francisco. Townsend's warbler - San Francisco. 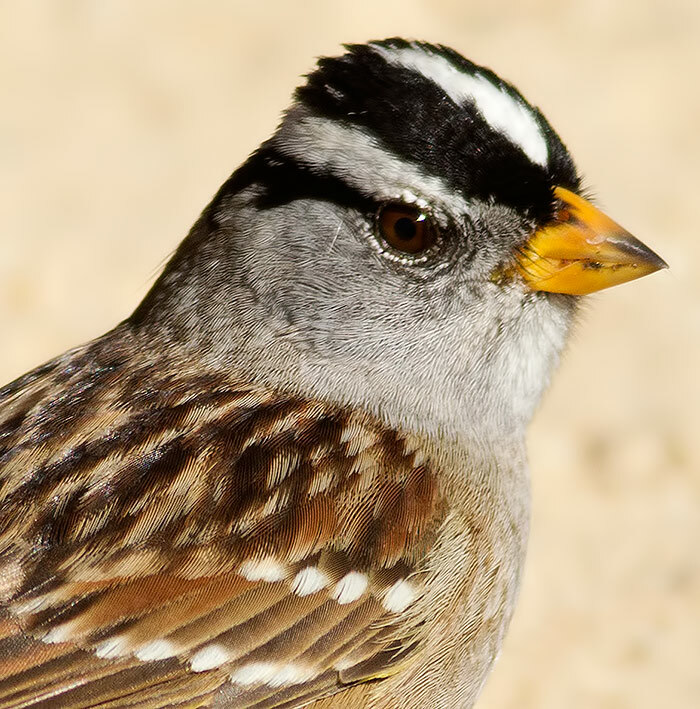 Dark-eyed junco - Point Lobos.